In The Essence of Humility (Chapter 7) we learned cilantro is in the Bible. This ingredient of so many of our favorite Mexican dishes is really the same plant as coriander. And manna God provided to the children of Israel in the wilderness looked very much like coriander. (Exodus 16:31). Do you have a majolica like the one pictured? More and more Mexican restaurants are preparing guacamole right at your table in one of these very heavy dishes. 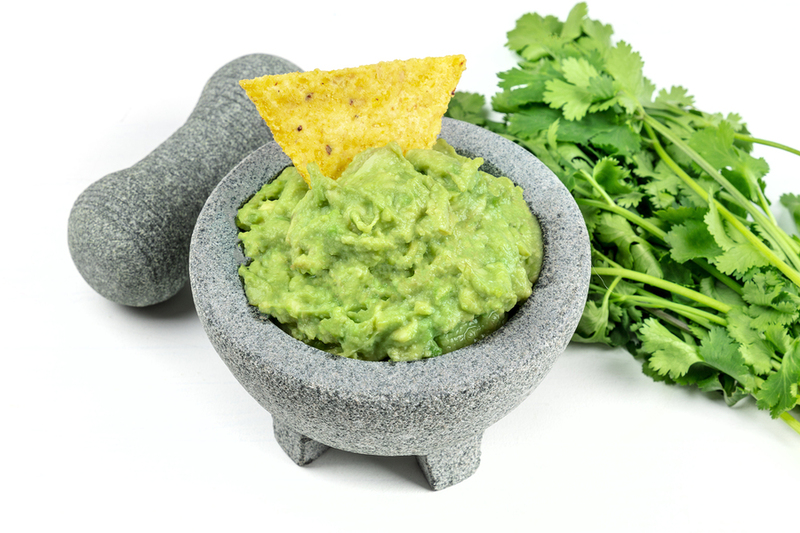 They’re a perfect gift for the homemade guacamole maker among your family and friends. And, no, I didn’t get paid a penny for suggesting that. (Smile). Cinnamah-Brosia loves Pinterest® as much as we do. She pinned this recipe for Zesty Lemon Herb Guacamole from Searching for Spice on her Pinterest app. It’s a snack favorite and the Coffee Cottage.